If you’re a beer lover who happens to be visiting Paris, well, you’re in luck — the city boasts a variety of bars that offer craft beers and microbrews that’ll excite even the biggest beer snobs! Choosing which bars to visit can be a little tricky because of the sheer number of them out there, so save yourself some time searching and spend more time drinking, by going straight to our five favourites below! Possibly the best beer bar in Paris, La Fine Mousse is nestled in a tiny corner of a tiny side street in the busy 11th Arrondissement of Paris. On one side of the bar is a gastronomic restaurant with beer pairing, and on the other side is a renowned menu of beers on tap. Chalkboard menus are just so much more interesting, aren’t they? The staff members are friendly, approachable, and are connoisseurs in their own right. The bar has an inviting, laidback, and relaxed atmosphere, making it a wonderful place for anybody to visit. No beer is actually produced at the location, but their menu boasts a wide array of beers from all over the world. This is definitely a must-visit for any beer lover! The restaurant is open Tuesday to Saturday from 7pm to 11pm. The bar is open daily from 5pm to 2am. Address: 4bis avenue Jean Aicard, 75011 Paris, +33 1 48 06 40 94. Beer lovers unite at Les Trois 8! 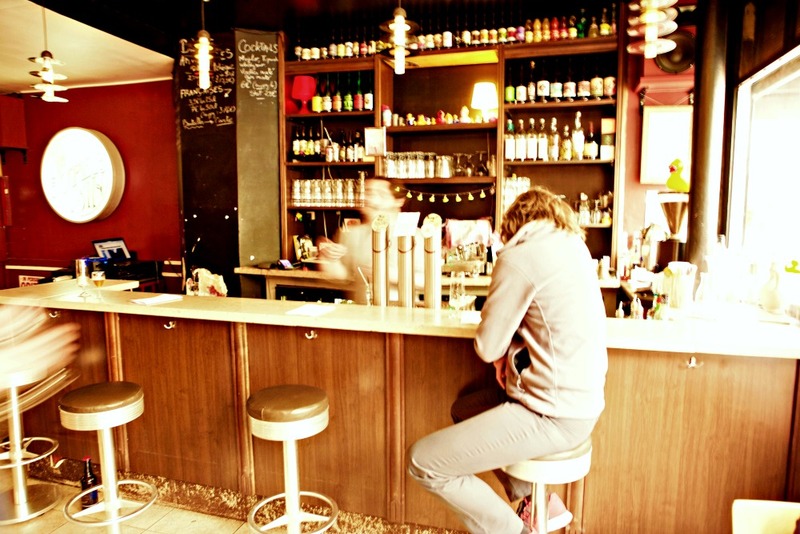 This small bar is located on a tiny street in the up-and-coming Menilmontant district. Les Trois 8 is a bar that combines a passion for rock music and beer, and their extensive menu lists beers from all around the world, with a rotating weekly menu displayed on the chalkboard above the bar. The interiors of this place are modern, sleek, and contemporary, but the environment is friendly and welcoming. This is a great place for beer lovers, and is conveniently located in one of the best areas in Paris for nightlife. Open daily from 5pm to 2am. Address: 11 Rue Victor Letalle, 75020 Paris, +33 1 40 33 47 70. They really aren’t trolling you when they say they have over 100 different kinds of bottled beer! 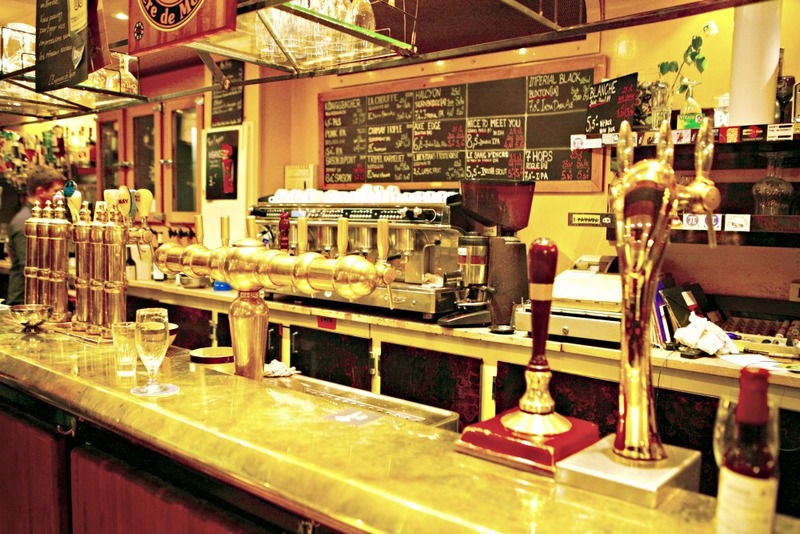 Just off the fantastic Marché d’Aligre, one of Paris’ best local markets, the Troll Café offers a fantastic beer bar with over 100 different kinds of bottled Belgian beers. The atmosphere is very much alive, and very much rock ’n ’roll. The place is packed to the brim with students, the working crowd, and foreigners — all of whom end up mixing and mingling by the end of the night (helped by the effects of the strong Belgian beer of course!). Open Monday to Saturday from 5pm to 2am. Address: 27 Rue de Cotte, 75012 Paris, +33 1 43 42 10 75. This cosy place can easily become anybody’s go-to bar, the atmosphere is just so darn inviting! Le Supercoin may be tiny, but it makes up for size in the atmosphere that it provides! With an incredibly friendly staff, themed nights, and fantastic beer, Le Supercoin has slowly become a lower Montmartre institution since it opened in 2012. They offer delicious beers on tap that are bottled and sourced from small, craft microbreweries all over France. You’ll also find some yummy eats that’ll fuel you through quiz nights, blind taste tests, and beer tasting sessions! Open Tuesday to Sunday from 5pm to 2am. Address: 3 Rue Baudelique, 75018 Paris, +33 9 50 07 04 90. Although from the outside this place may seem like any ol’ brasserie, you’ll be surprised to find such a wide selection of authentic craft beers! It’s located opposite the busy train station, Gare de Lyon, in the 12th Arrondissement of Paris, so don’t be stunned if you find travellers with their suitcases hoping to get their last beer down before they depart. The classic interior alone is a reason to visit L’express de Lyon – the beers are what will keep you coming back! Currently, there are 10 beers on tap — half of them are permanent, and the other half are rotated between some of the best French and international craft brews. Super passionate about his beer, the owner will be more than delighted to talk beer and explain his menu. This little treasure trove is a wonderful place to check out if you’re ever in the area! Open every day from 7.30am to 2am. Address: 1 Rue de Lyon, 75012 Paris, +33 1 43 43 21 32. 16 local craft beers on tap — what more could you ask for?! Nestled in the Odéon area just below the beautiful Jardins du Luxembourg, La Robe & La Mousse is the new addition to the already iconic Fine Mousse beer bar and restaurant. The 16 craft beers on tap focus on the local production with only French breweries (half of them from Paris or around, and the other half from the rest of France). Wine lovers aren’t forgotten with a great selection of independent producers. Last asset: the great medieval basement, where you can keep on sipping your beers until the wee hours! Open daily from 4pm to 1am (2am on weekends). Address: 3 Rue Monsieur le Prince, 75006 Paris.